Welcome Back for Day 13 of 31 Days of Halloween! We are almost half-way there for the month long celebration of all things Halloween! Thanks so much to each and every one of you for your visits and comments each, makes us smile! Huge congratss to all the Wicked Bloggers this year, so many amazingggggg projects! Well done! 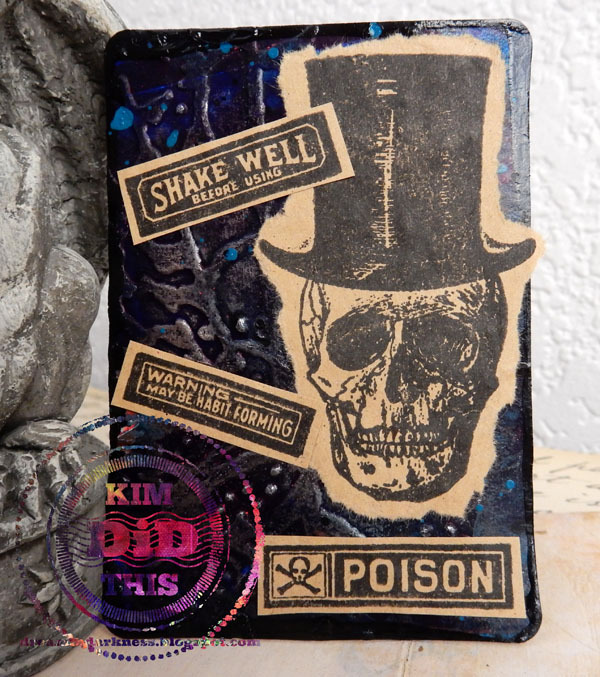 Today I have an ATC to share with special instructions from the Undertaker! 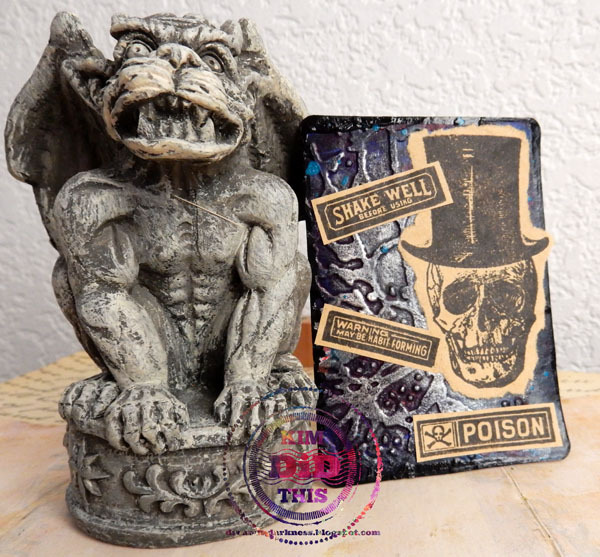 The stamps all all Tim Holtz, Undertaker set. It is stamped onto a mailing envelope, love the kraft color! The background is embossed with a Tim Holtz embossing folder and highlighted with DecoArt Metallic and DecoArt Media Fluid Acrylics. Come back soon to offer up your spooky goods to the Frogster...HERE is the gateway to his lair! Undertake saying "Shake well" LOL!! And looks like he is giving him self some business. Love the kraft too and your fabulous blue background. I love the top hat! Great tag. 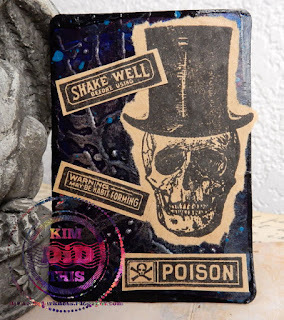 Love the background and stamps, great ATC. Wonderful ATC; love all the sentiments.